Inspired by one of the largest and most powerful nuclear submarines in the U.S. Navy, the impressive GV2 Triton is not for the timid or faint of heart. 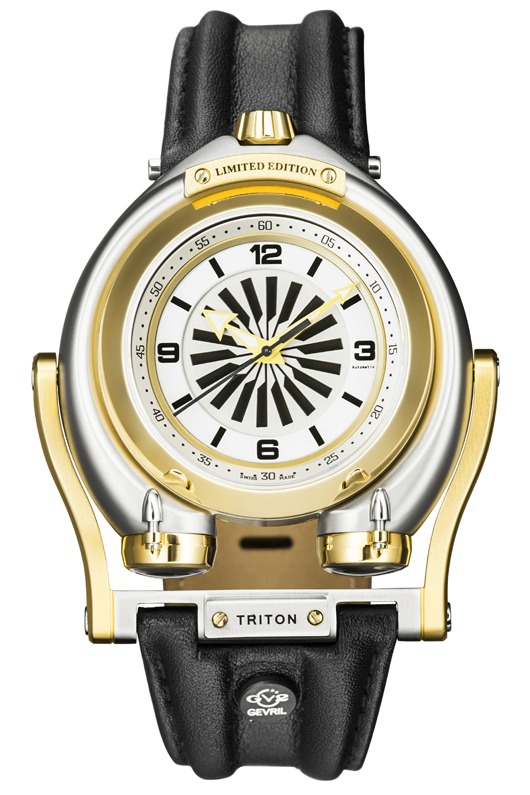 At the time she was commissioned in 1959, the Triton was the largest, most powerful, and most expensive submarine ever built. 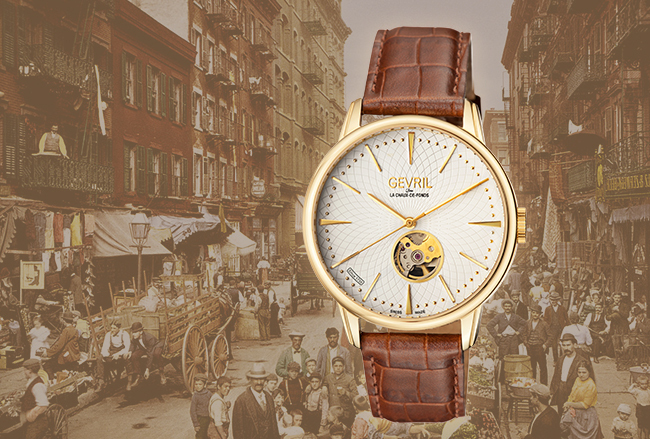 It’s not surprising that this ship’s namesake is equally impressive. 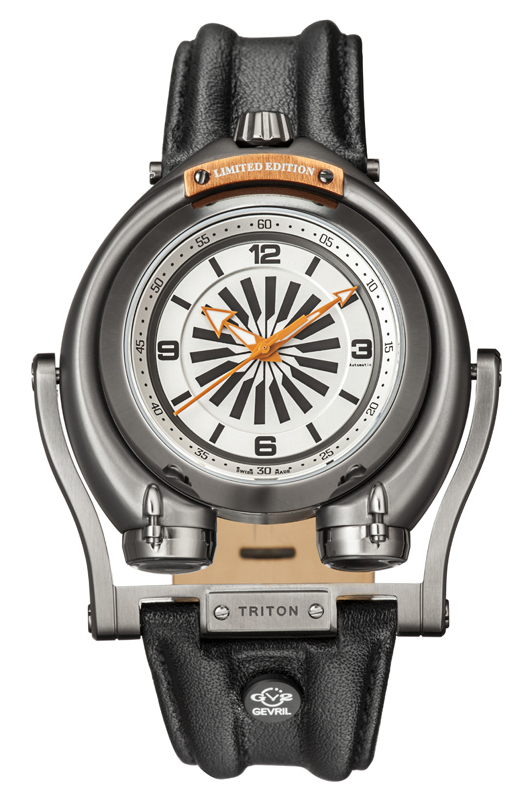 With a submarine inspired 48 mm case and style all its own, the masculine Triton is perfect for someone who wants to make a big statement. 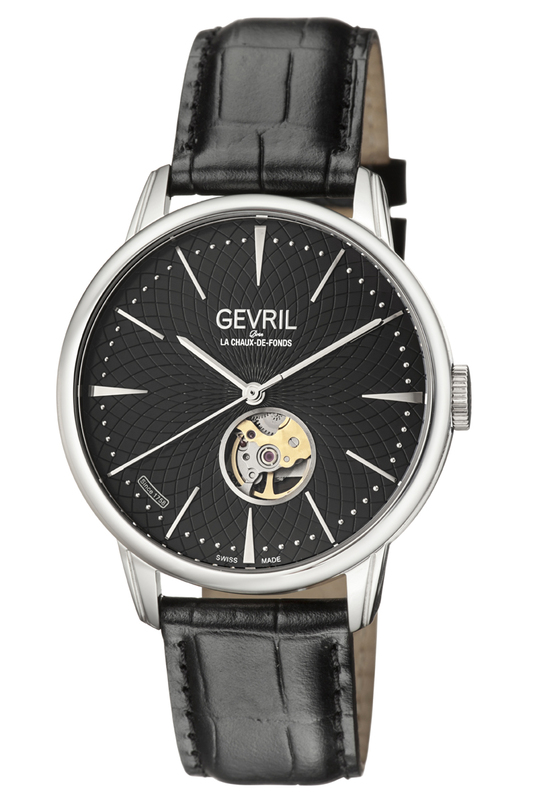 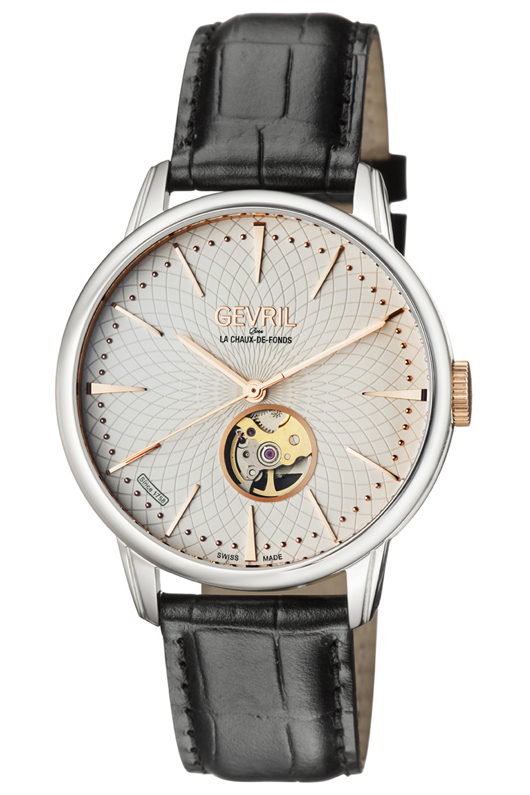 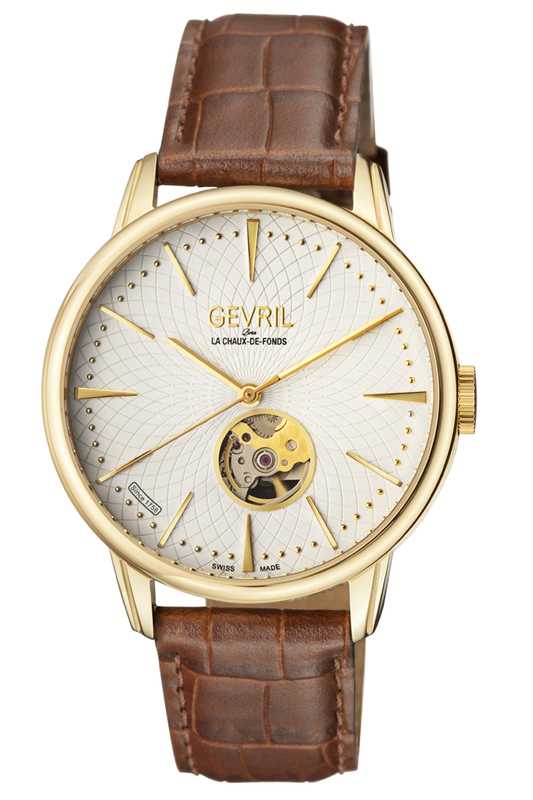 Unique marine detailing defines this superlative, Swiss made automatic timepiece. 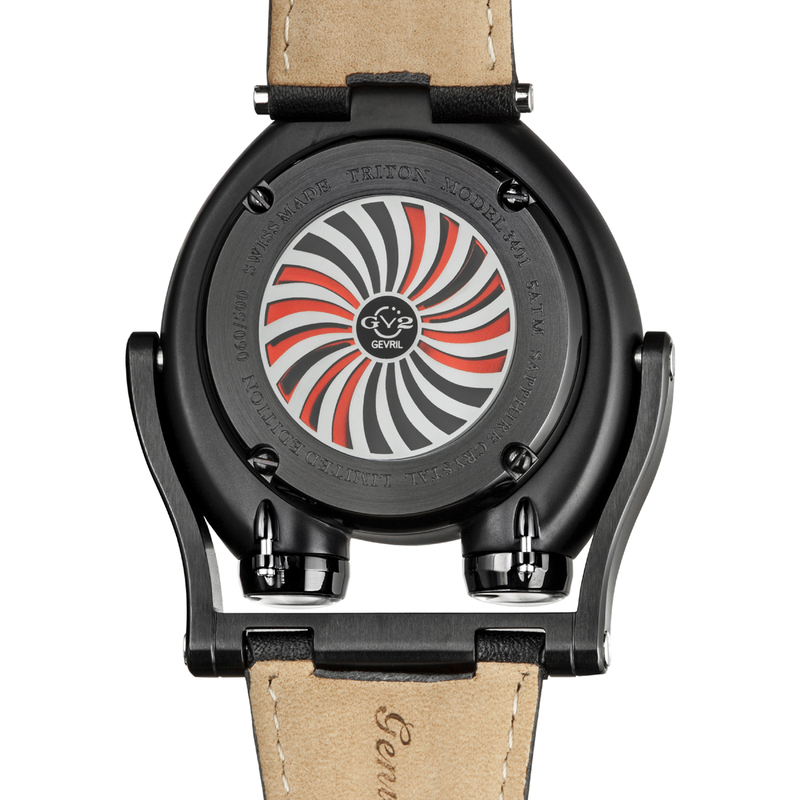 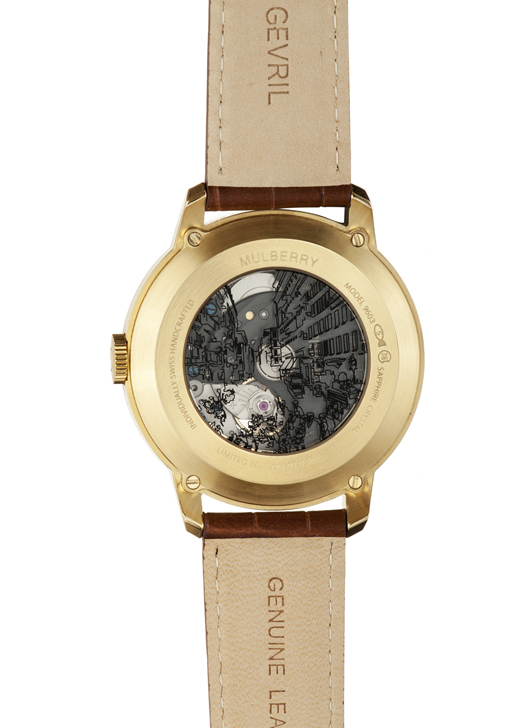 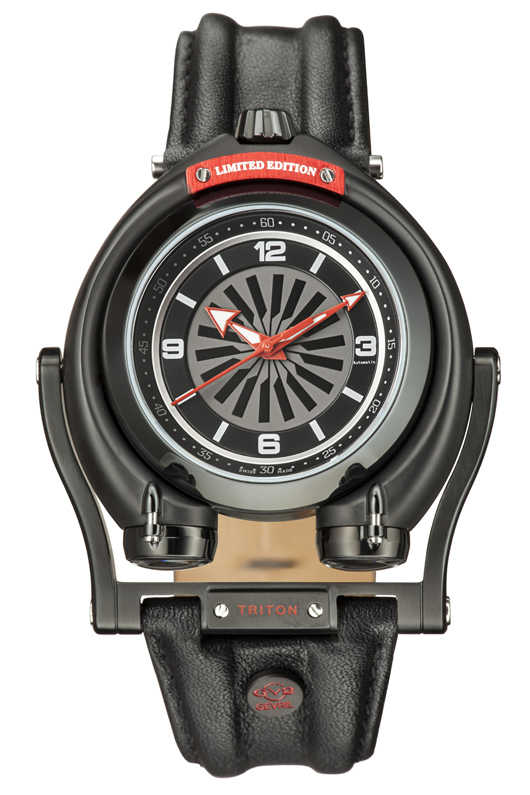 From the precision twin spinning rotors mounted on the side of the case, to the swinging lower lugs and rotating turbine visible on the case back, this watch is designed to catch people’s attention. 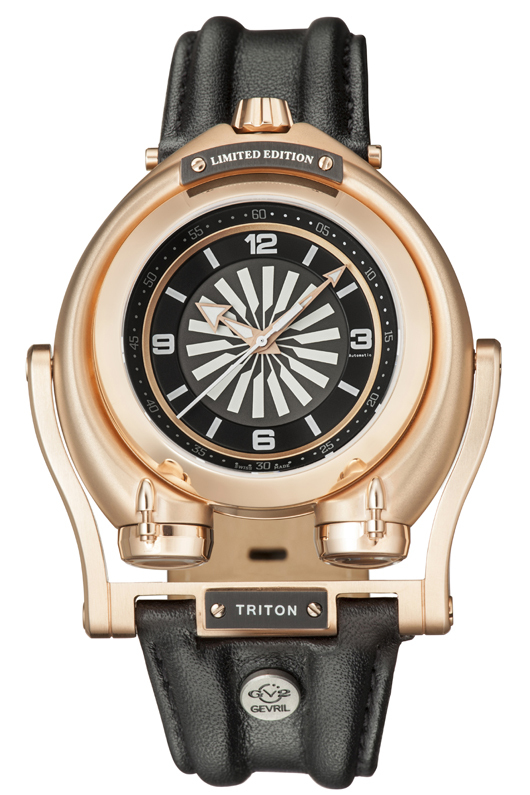 The inspired collection is available in five different editions, including stealth IP black, IP grey, IP rose gold, IP yellow gold, and stainless steel models. 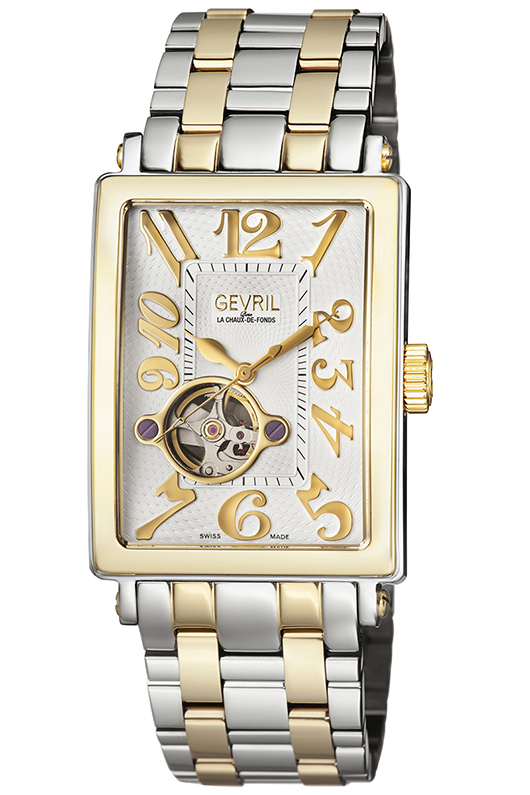 Each timepiece is powered by a precision Swiss made automatic movement designed to provide years of reliable service. The watch is water resistant to 165 feet and an anti-reflective, scratch resistant sapphire crystal protects the beautiful dial. 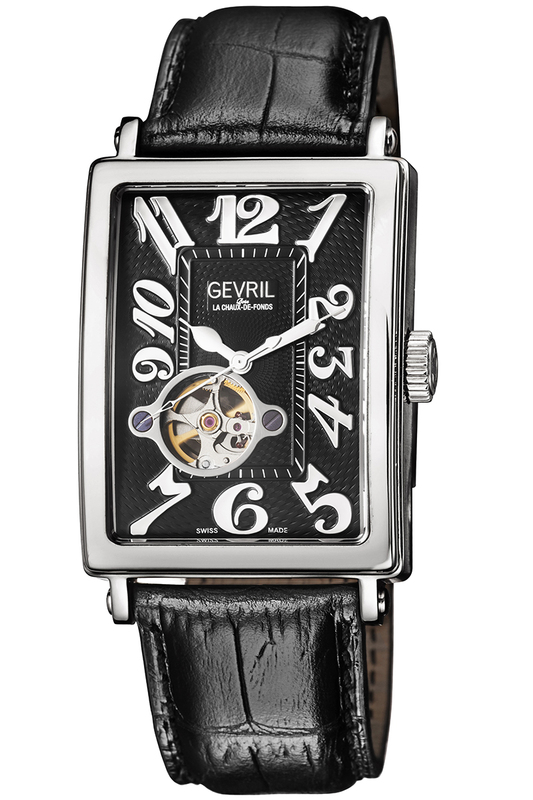 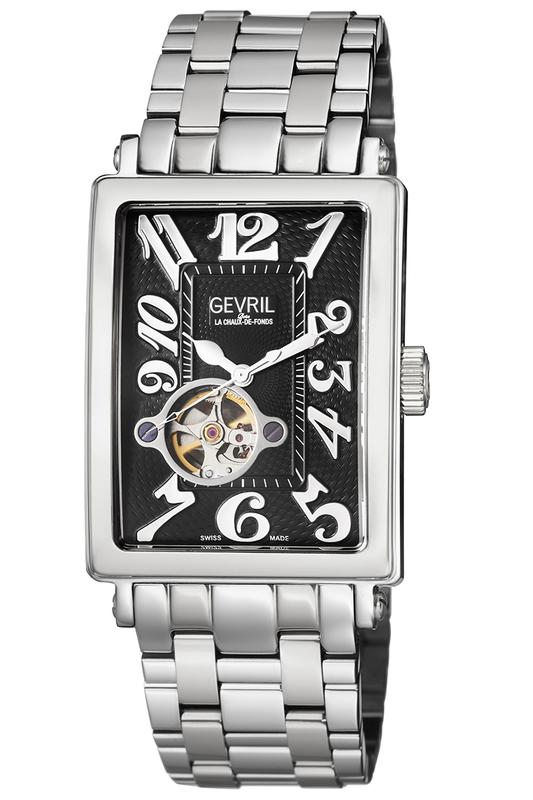 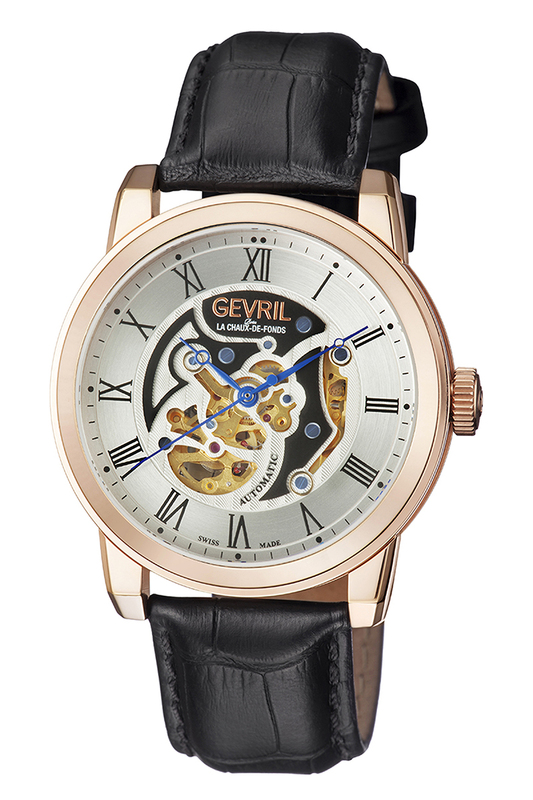 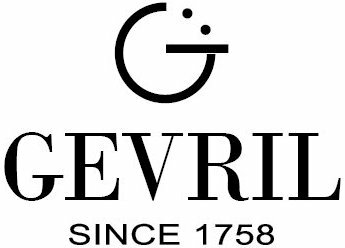 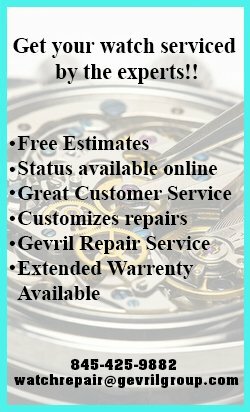 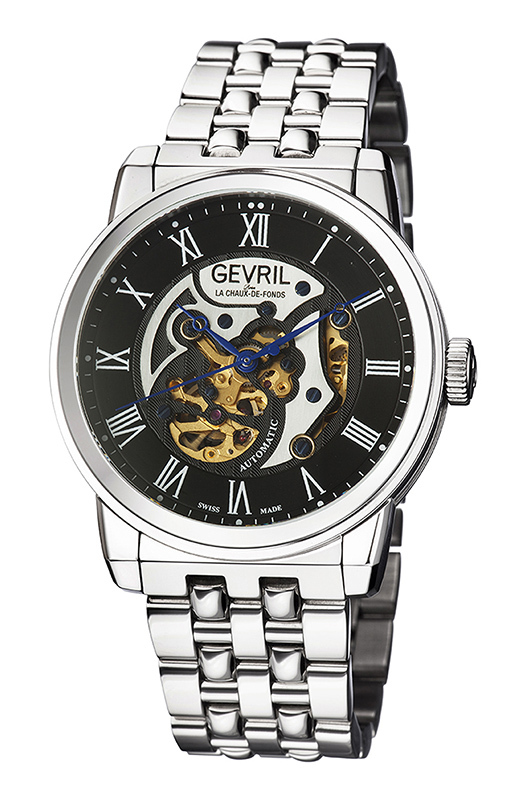 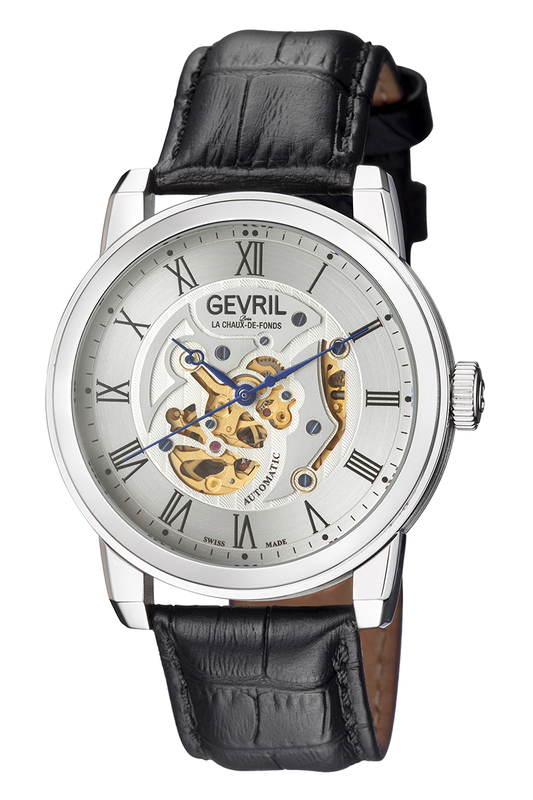 Like all GV2 timepieces, your investment is secured by a two-year manufacturer’s warranty. 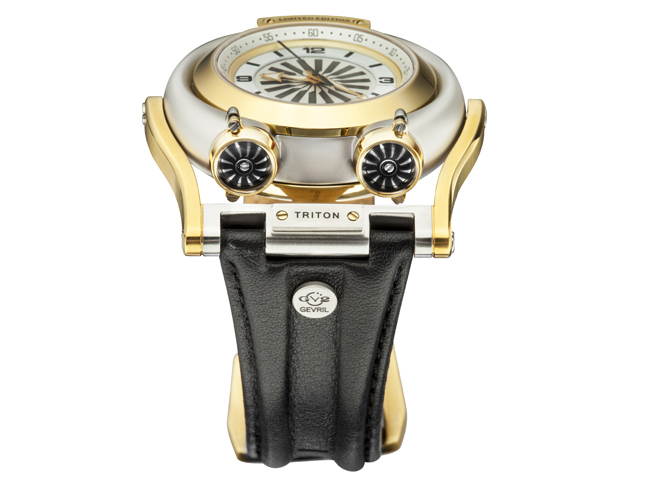 Each Triton timepiece has been fitted with a beautiful padded genuine leather strap equipped with a D-shaped tang buckle that has been inscribed with the Triton logo. 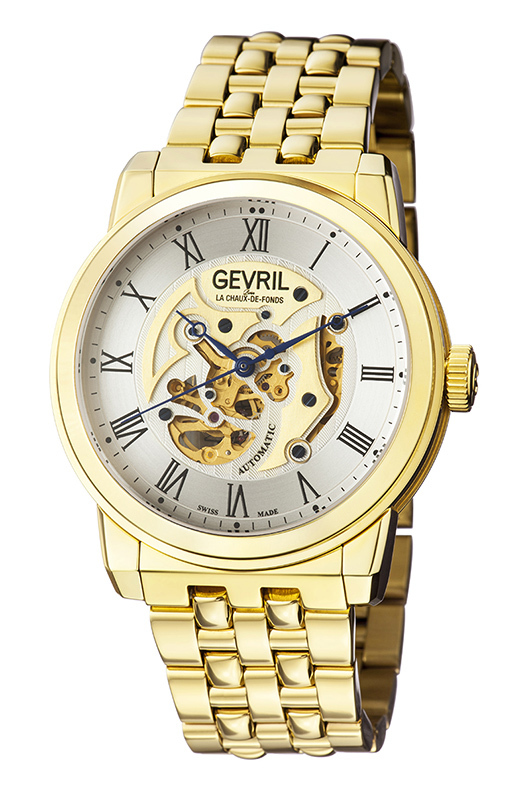 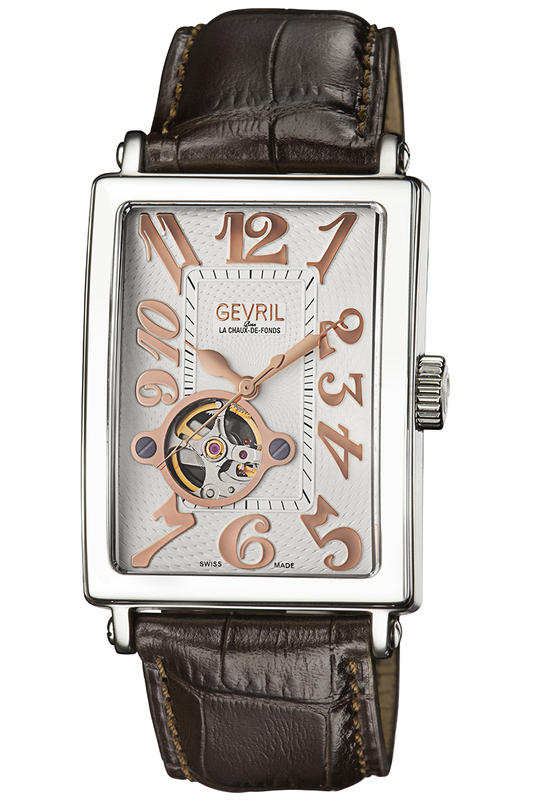 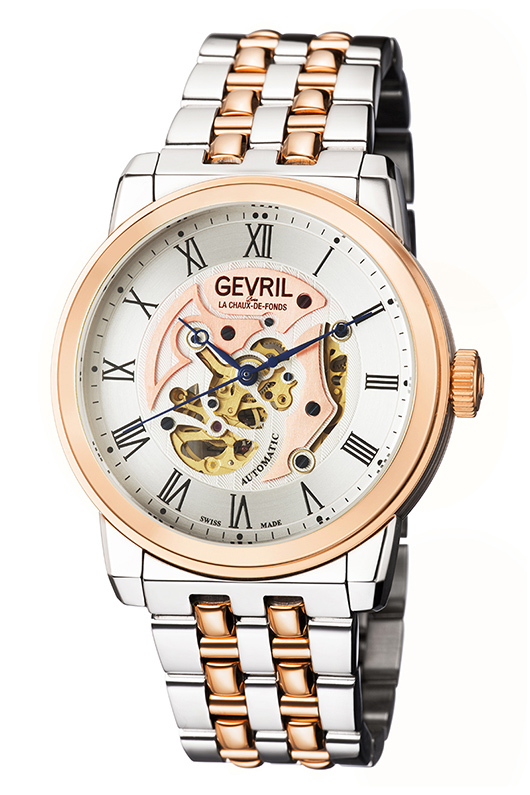 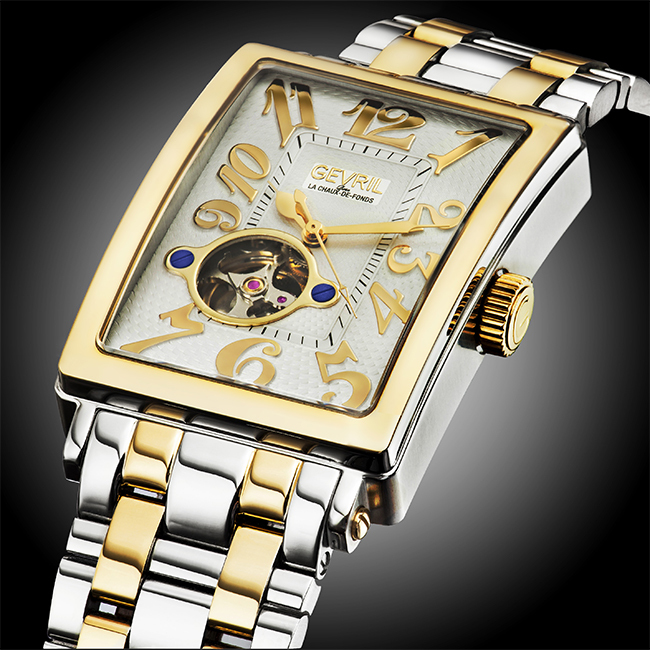 With its distinctive bullhead crown and swinging lugs, this is a timepiece that you will be proud to wear anywhere. 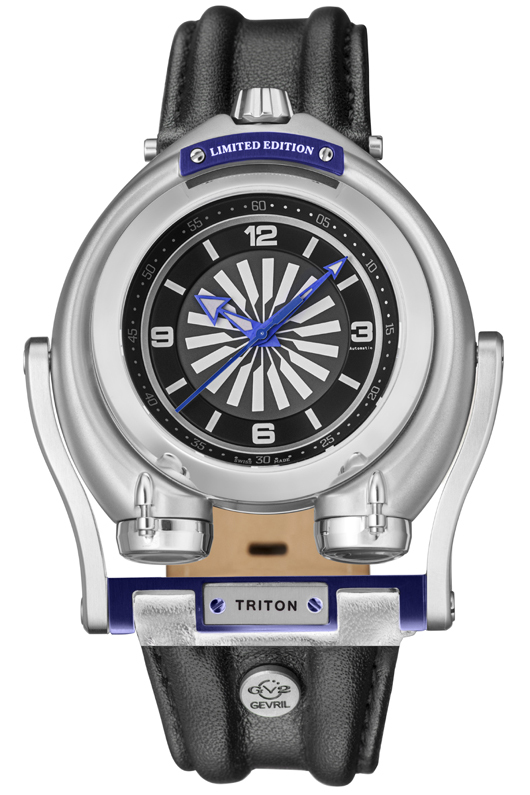 If you are already a fan of GV2 timepieces, you will definitely want to add the impressive looking Triton to your collection. 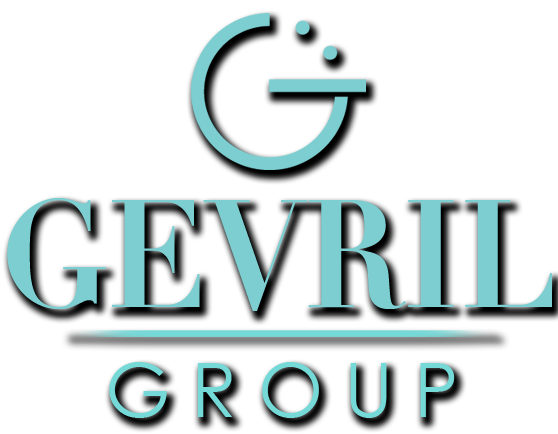 If you are new to the brand, we are sure you’ll want to learn more. To see how this submarine inspired masterpiece looks on your wrist, contact your authorized GV2 dealer immediately and ask to see the entire Triton Collection.